I go to lots of places to eat, all in the name of research *ahem*, but finding the time and energy to write them all up can be quite draining. I know, I am just making excuses, and I like to waffle on with the best of them. After all I spent three years at university doing a Geography degree perfecting the art of writing 3000 words on nothing much at all. However, I realise that not everyone wants to read an essay (and hell, I don't want to write one) so I will make an effort to post more regularly, but write less. Dishoom is a Bombay cafe located in the heartland that is Upper St Martins lane, very handily located in between Covent Garden and Leicester Square. After a fair outporing of love on twitter, I felt a visit was required and popped in for a quick dinner. Ordering way too much seems to be my modus operandi and between me and my friend, probably ordered enough for three. A variety of dishes landed in front of us at an alarming rate. Within 5 minutes of ordering, our entire order of breads, meats, sides and dal appeared on our table. I now understood the little metal stand brought to our table, used to stack dishes on top of each other. Our table simply wouldn't have coped. 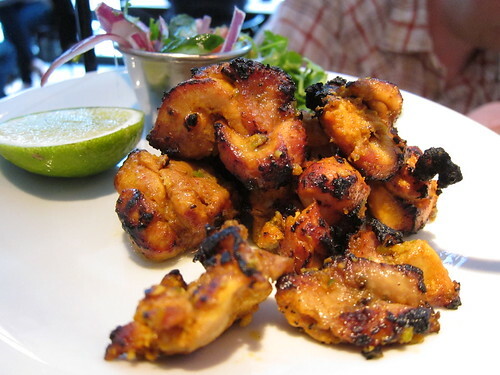 Highlight for me was a delicious chicken tikka, nicely spiced with a nice char, although all the food was competent and enjoyable. 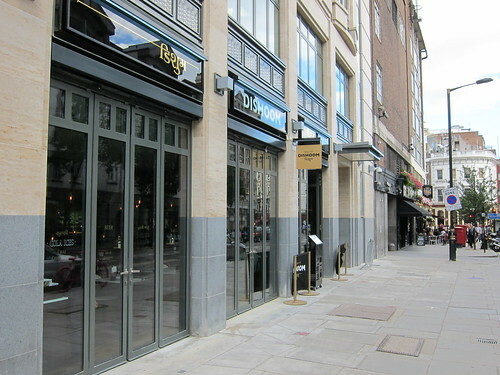 I find it very hard to gush about Dishoom but I did enjoy my ultra quick meal. A handy place for a quick tasty dinner and a darn sight better than nearly every other place in the immediate vicinity. At just under £50 for enough food for about two and a half people plus 3 cocktails, it's pretty decent value and well worth a visit. I rather like your waffling. Do try the bacon naan roll - very nice indeed. 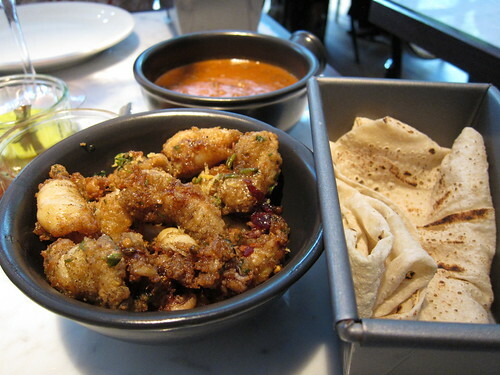 I had a really nice meal at Dishoom and especially enjoyed the grilled dishes, which you seemed to like as well. Agreed that it's hard to post often while also keeping enough detail in the content such that readers can decide for themselves whether to go. @Lizzie - I can confirm that I did return for the bacon roll and it is indeed outstanding. I see many of these in my future. @AiL - It's a nice place and they have been very proactive in trying to make it better, a very refreshing approach from a restaurant. @Douglas - Why thank you.